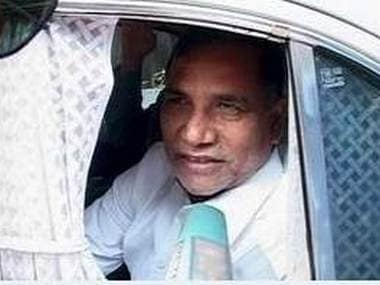 Mumbai: Former Mumbai Congress Chief Kripashankar Singh was today questioned for the second time by the Special Investigating Team (SIT), probing the alleged amassing of disproportionate assets by him. Earlier, on October 15, the SIT had recorded Singh's statement but as this could not be completed, he was called again today to seek information regarding his properties and assets, police sources said. Singh came alone to the police headquarters in South Mumbai, where he was questioned for several hours. 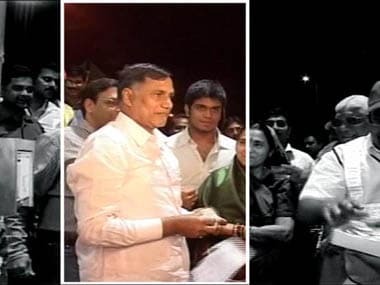 A senior police official said, the Congress leader might be called again, if required. The statements of Singh's relatives might be recorded if it was necessary, he added. Singh was asked various questions about his movable and immovable properties and he cooperated with the SIT while answering their queries, the officer said, but declined to say what Singh had disclosed. He said investigations were on and therefore could not disclose anything at this juncture. The Supreme Court had, in September, granted eight weeks time to the SIT to complete its probe into the alleged amassing of wealth disproportionate to the known sources of income of Singh. The court had asked Mumbai Police Commissioner Satyapal Singh to head the team replacing Arup Patnaik, who was elevated to the rank of DGP. The Maharashtra government has already submitted to the Supreme Court two reports on the SIT probe in sealed covers about the alleged benami assets of Singh and his family. its report in a sealed cover. The apex court had passed its order on petitions filed by Singh and his family members seeking a stay on the Bombay High Court order of February 22, directing the then city police commissioner to prosecute them for "criminal misconduct" under the Prevention of Corruption Act.